"Our Blues" is music from a vigorous, swinging player in his thirties. Fraser always, always swung hard, but he's close to working the gate right off it's hinges here. This is tough, virile stuff, every bit the equal of any of the 'West Coast' records coming out around that time from people like Art Pepper, Jack Montrose or Bill Perkins. 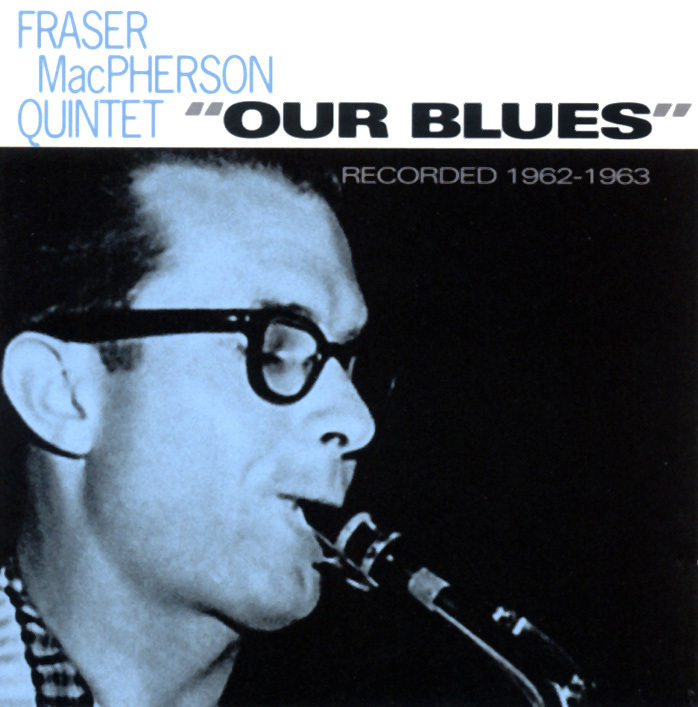 Fraser's sound is much more tight and controlled than it became in later years, almost alto-ish. In fact, that's who he reminds me of most here, Art Pepper, with a healthy dash of Bill Perkins. This is determinedly 'West Coast" stuff, proving once again that jazz was once a regional music. These tracks could easily have been recorded in LA, and bear little stylistic relation to contemporaneous 'Canadian' jazz musicians recording in Toronto or Montreal at that same time. The comparisons of pianist Chris Gage to Oscar Peterson seem a stretch to me. I think he's much closer to Russ Freeman, Dodo Marmarosa, and , in his percussive attack, to New Orlean's piano eccentric James Booker.